Vegetarians and travelling – a match made in hell? I love to travel but always have in the back of my mind one question that often determines my choice of destination. How easy will it be to find vegetarian food? It is all too easy to be put off travelling abroad if you think every day is going to be a struggle to find some decent veggie food. However, I have found that is you invest some time before you go doing your research, the results can make your trip away well worth it! 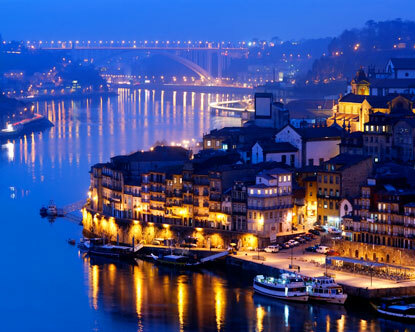 I recently visited Porto in Portugal and was pleasantly surprised by the range and quality of food I had. I had been wary of going but in fact had some great culinary experiences. I visited Casa Da Horta which is a vegetarian food coop. Basic but welcoming I sampled some traditional Portuguese food at really low prices. I also visited Essencia which was a wonderful example of how to cook innovative veggie food. 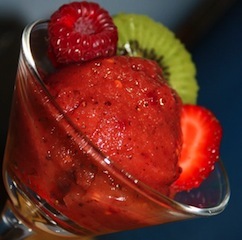 I had a caramelised walnut and goats cheese salad to start, then a seitan curry for main and a delicious raspberry sorbet with fresh kiwi fruit for dessert. They also have a fantastic range of cocktails. Very different restaurants but equally as good. I would definitely recommend Portugal if you are veggie as from what I have seen, vegetarianism is a growing movement in Portugal and with their love of fresh vegetables and fruit, the Portuguese are very open to the idea. I would encourage any vegetarians to embrace the idea of travel, even if it is to a country that you might think you would struggle in. Paris for instance challenged my preconceptions that France is a veggie nightmare and I visited some great places to eat. The key message is – Do Your Research! There are always cafes and restaurants out there that are veggie or veggie-friendly. You’ve just got to know where to look…. Google is always a good place to start. There is also a website called happycow.net which is very useful. Happy veggie surfing! I’m surprised you mention Portugal on your list! But yes, vegetarianism is becoming bigger and, even in the local cuisine, there are nice vegetarian options – if you know where to look and do your research! Yes, I was surprised (pleasantly) by the food in Portugal. Just shows you can never assume where will be good for veggies and where won’t! My list is based on where I have been by the way. If it was based on my knowledge of all countries then places like India and Vietnam would be in the list too.